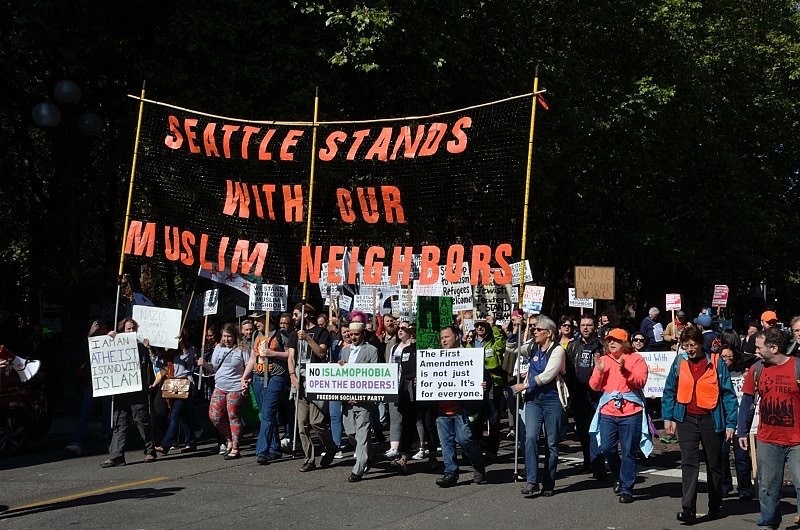 On June 10th 2017, ACT For America organized nation-wide Islamophobic protests supposedly against “Sharia law.” In Seattle, WA they took place on the steps of City Hall, and the greater community of Seattle came out to oppose them. Lizzy has been wrongfully accused of actions related to the events of that day, resulting in mounting legal and lawyer fees. Please show your support for Lizzy and for the greater Seattle community who stood up against hate!